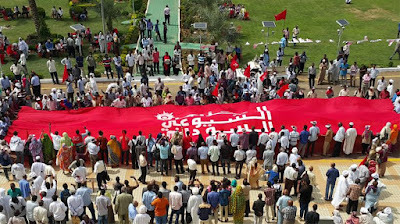 The developments require the intensification of peoples' intervention. 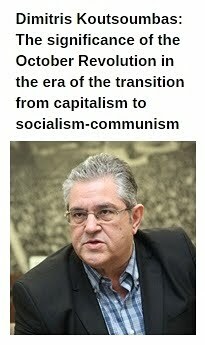 By Giorgos Marinos* / Source: inter.kke.gr. The Cyprus Issue, under its present form, was caused by the Turkish invasion and occupation in July and August (Attila II) of 1974 and remains unsolved for 42 years. During this historical period, many means of negotiations were used, multifaceted UN interventions, joint statements and many meetings between representatives of the Greek-Cypriot and Turkish-Cypriot communities etc, but the problem still remains. The Turkish insistence on the continuation of the occupation found supporters in powerful imperialist powers which, among other things, bare responsibility for the creation and perpetuation of the Cyprus Issue, such as the US, NATO, Britain and the EU in general. In this context there are the responsibilities of the Cypriot and Greek governments, because with the policy they followed they contributed to the downgrading of the value of the people’s struggle, they cultivated false hopes regarding the role of the US and the EU, they weakened the international character of the problem, while the alternative solution put forward was trapped in the logic of “bizonality” and “two states”, a solution which was formed under Turkish pressure. Today, it seems that not only the experience of the rejection -by the Cypriot people in 2004- of the dichotomous “Annan Plan” is not used, but what is being cultivated is an unfounded euphoria regarding the promotion of a fair-sustainable solution, even within 2016, thus presenting the confederal solution, which is based on “two constituent states” as a solution to the benefit of the Cypriot people. Thus, what is needed at this time is not restricted to concern about the US and EU machinations, the progress of the negotiations and the Turkish- Turkish Cypriot stance. 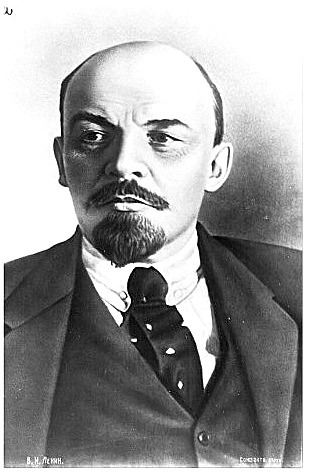 But what is needed is the intensification of the peoples' interventions that will express opposition to the confederal solution which is being promoted through the inter-communal negotiations and supported by imperialist circles. If this does not happen now, time will be lost and the consequences will be even more painful. Having as a starting point the interests of the working class, of the popular strata, we can note that the euphoria that was cultivated before and strengthened after the election of the head of the Turkish-Cypriot community, Mr. Akinci, is inconsistent with the actual facts. 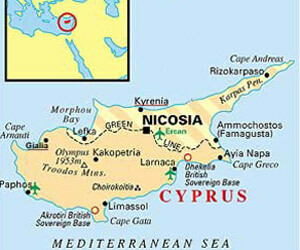 It is a misleading euphoria, it expresses the US and EU political decision to promote a (confederal) solution to the Cyprus Issue (at any cost) in order to promote their plans and aspirations in the region of South Eastern Mediterranean and the Middle East, to exploit the Cypriot energy resources in the direction of dealing with EU energy problem, for Cyprus to be used even more by the EU and NATO in their competition with Russia within the context of the general inter-imperialist competition. 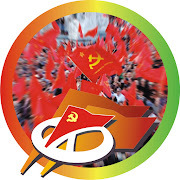 In this direction, powerful section of the Cypriot bourgeoisie and political forces which operate in the framework of capitalism have consented, in one way or another, to attempt to equate the workers' interests with capitalist development and the interests of the monopolies that have already begun the exploitation of natural gas deposits. The Greek and Cypriot workers should think better on certain aspects of the Turkish, Turkish Cypriot tactics and evaluate them in order to draw conclusions by answering the question whether a fair (as far as possible) solution can be attained through this way, with the people at the margins. Firstly, the Turkish-Turkish Cypriot side has repeatedly tried to upgrade the role of the pseudo-state, the so-called “Turkish Republic of Northern Cyprus” (TRNC), promoting the version of the “two states” solution, as Mr. Erdogan did, for example, on September 2014, just before the NATO Summit in Wales. In the same direction, Mr. Akinci, a day after his election (26 April 2015) in the occupied territories of Cyprus, stated that “federal Cyprus should consist of two equal founding states”. Secondly, the Turkish state methodically contests sovereign rights of Cyprus and Greece. Thus, on October 3, 2014, the Turkish authorities issued a “directive to seafarers” which intended to bind a large territory of the Cyprus Exclusive Economic Zone for the carrying out of seismic surveys by the Turkish vessel “Barbaros”. Thus causing the reaction of the Cypriot government, which decided on the suspension of peace talks on the Cyprus Issue. In the relevant discussion centered on the Turkish- Turkish Cypriot disputing of Cyprus' sovereign rights, Turkey's Minister of Foreign Affairs stated that “everyone recognizes the fact that the people of the 'Turkish Republic of Northern Cyprus' have rights to the natural gas and oil resources in the area”. While, Mr. Eide, special advisor of the UN Secretary-General, proposed the establishment of a joint Greek-Cypriot and Turkish-Cypriot committee for the management of hydrocarbons, legalizing in fact the status of the Turkish occupation, upgrading the role of the pseudo-state. On December 31, 2014, Turkey issued two directives “to seafarers” through which it bound very large areas in the Aegean for the entire year of 2015. While, on Christmas 2015- beginning of 2016, through new directives Turkey announced the binding of areas in northern, central and southern Aegean. 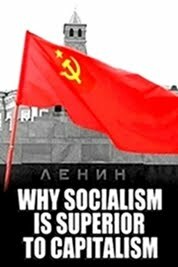 Thus, practically, it has been demonstrated that the aggressive attitude based on the line of Turkey's geostrategic enhancement in the region that is in competition with the choices and aims of the Greek and Cypriot bourgeoisies (axes Greece-Cyprus-Israel or Greece-Cyprus-Egypt etc.) isn't fixed as is argued by some forces, which look for “good intentions” in the actions of the Turkish side or assess that a solution can be found with the support of Mr. Akinci's good intentions. The Turkish bourgeoisie is seeking a solution to the Cyprus Issue that corresponds to its own interests, aiming, through the situation that is shaped by the strategy of the “two constituent states” and “bizonality”, to control the developments, to take control of the hydrocarbons, to influence the island's foreign policy through the Turkish-Cypriot “state”. The stance of the EU towards Turkey and the situation in Davos. Two recent developments have special significance for the plans of the latest period and the formation of a favorable environment for the imposition of a confederal solution, like the “Annan Plan”, under the mantle of a federation. 1) The support of the EU (alongside the US and NATO) for Turkey after the shooting down of the Russian fighter-plane. 2) The encouragement of the Turkish demands in the Aegean, in the name of promoting the dangerous policy of securing the EU’s external borders and the control of the refugee flows at the core of the issue, in the borders, with consequences at the expense of Greece's sovereign rights. 3) The withdrawal of the objections expressed by France and Germany towards Turkey's accession to the EU and the acceleration of these procedures, featuring the opening of 5 accession chapters related to energy, economic-monetary policy, the judiciary, the policy of justice-freedom-security, foreign security and defense policy, chapters which were “frozen” after a decision by the Cypriot government. The other development has to do with the situation that was created at the World Economic Forum, in Davos, in order to strengthen- within the elite of the imperialist organizations and the big economic interests- the “two constituent states” solution, requesting financial support from states and businesses even before the final agreement and referendum! Under the responsibility of the UE and Secretary General Ban-Ki Moon's special advisor Mr. Eide, an attempt to upgrade Mr. Akinci took place, who in fact was presented not as the head of the Turkish Cypriot community, but as president of the pseudo-state, the “Turkish Republic of Northern Cyprus”. And not only that. There was an organized attempt to identify the course of the negotiations with a “positive dynamic” for “Cyprus reunification”, due to the contribution of the USA and the so-called guarantor powers Britain-Turkey-Greece. In this environment, the coercive practice of the Turkish- Turkish-Cypriot side becomes even more dangerous. This practice, through the words of Mr. Akinci (in Davos), projected the blackmailing assertion that this is “the last chance for reunification”, otherwise “other choices will be sought”. The working people must decisively reject these threats, must not be trapped in the blackmails for a “solution” that will preserve the consequences of the Turkish invasion-occupation, because every unjust and unsustainable “solution” will be a bomb- in a region that is boiling- ready to explode with grave consequences for the people of Cyprus, Greece, Turkey, for the people of the region. In this period, the discussion regarding the security and the guarantees, the territory and property issue, has flared up. These issues are actually used in a patchy fragmented way, in a direction that reduces the significance of the struggle against the Turkish occupation. It's like maintaining the rotten trunk and attempting to cut some problematic branches in order to cure the tree. That happens, for example, when you seek a solution for the Cyprus Issue without having dealt with the basic causes, when you encourage complacency amongst the Cypriot and Greek people that the resolution of the property issue is just a step away, with “restoration”, “exchange” or “compensation” of assets, seeking compromises even on who will have the first word: “the lawful owner” who was driven out by the occupation or the “current user”. Can, the problem of the occupation of the 37% of the Cypriot territory be solved in this way or can this serious problem be solved by highlighting the position of the replacement of the outdated (since 1960) provision of the “guarantor powers” (Greece, Turkey, Britain) by the assignment of guarantor power jurisdiction, e.g. 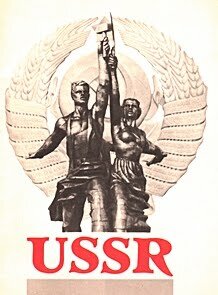 to the EU, the interstate imperialist union? These do not constitute a basis for an actual solution that eliminates, cancels the Turkish occupation and deals with the painful consequences for Cyprus and the Cypriot people. The stance of the SYRIZA-ANEL government tries to create impressions, due to the emergence of the abolition of the guarantor powers’ “institution” which has been already damaged through the painful historical process of competition, interventions, and the occupation of Cyprus. There are several references to this issue. But, what happens, e.g., with the fundamental positions regarding the withdrawal of the occupation army and settlers, the return of the territories violated by the occupation, the return of the refugees, the removal of the British military bases? Disengagement from the EU, socialization of the wealth with the people in power. - Demands the withdrawal of the occupying forces and the elimination of the consequences of the 1974 Turkish invasion generally, the return of the refugees to their homes, the end of settlements and the withdrawal of settlers except for cases related to humanitarian reasons. 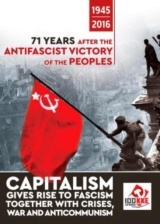 - The KKE considers that the effective direction of the struggle for the working class and the popular strata is the direction for a Cyprus where the master will be its people, Greek-Cypriots and Turkish-Cypriots, Armenians, Latins and Maronites. - A unified, independent Cyprus, with one single sovereignty, citizenship and international personality, without foreign bases and troops, without foreign guarantors and protectors. 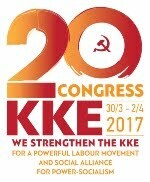 On the occasion of the publication of the Anastasiadis-Eroglu agreement (11/2/14), the KKE issued a statement which retains its timeliness and stresses that our Party will oppose solutions of – open or hidden- partition which in the past have been rejected by the Cypriot people themselves. It will support the struggle for a just solution of the Cyprus Issue, to the benefit of all the working people, Greek-Cypriots and Turkish-Cypriots. It will continue to promote the only realistic pro-people way out for Greece and Cyprus, which is the disengagement from the EU, the socialization of wealth, with people in power. 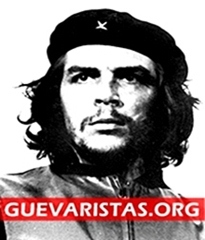 * Giorgos Marinos is member of the Political Bureau of the CC of the Communist Party of Greece (KKE). The article was published in 'Rizospastis', 31/1/2016.